Below I have some items from Ford which I have found usefull when working on their diesels, but the parts counter never seems to have. 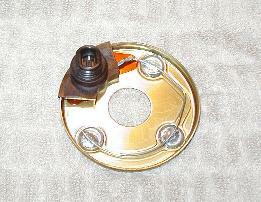 Leaking or damaged Injection Pressure Regulator seals can cause poor idle, stalling and no-start problems. Replacing the IPR Valve may be unnecessary (and expensive!). Seals the top of pedestal to turbo, or bottom to engine block. Repair leaking injector return lines and caps. 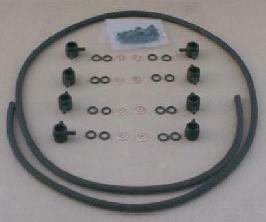 Contain 16 injector o-rings, 8 copper washers and spring clamps. No caps or hose. 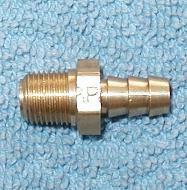 3/8" inside diameter for fuel filter inlet. 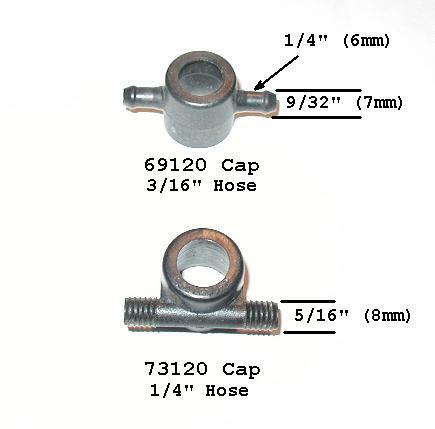 6.9 also uses these on the injection pump outlet line; early models use two, late only one. 5/16" inside diameter for the line from the filter to the injection pump. 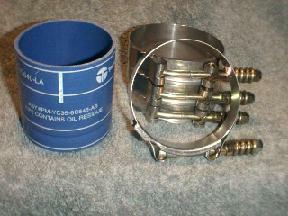 When replacing the injection pump, the inlet fitting must be transfered to the new pump. 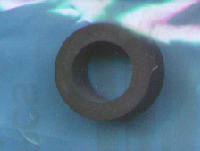 Air may leak into, or fuel out of, a damaged O-ring. 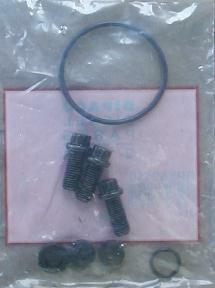 NOT included with replacment injection pumps. for rear of pump return line and filter inlet. Common problem: fuel leaking past the o-ring or up through the terminal. If fuel can leak out, air can leak in and cause hard starts or stalling after starts. 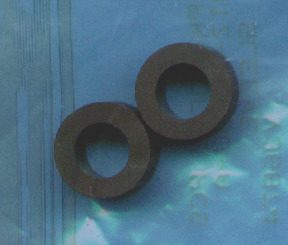 The o-ring is no longer available separately, and since the heater has to come out anyway, you might as well replace the heater. Especially if it's leaking past the terminal. This is the upper radiator hose that is supposed to route behind the serpentine belt instead of through it. If you have concerns of the belt damaging the hose, or want to be able to remove and install the belt without removing the hose, this is the one for you. 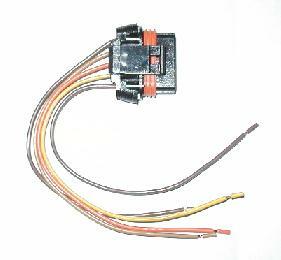 Includes liner worm gear clamps and a plastic wire tie to secure it to the alternator bracket. Includes the hot hose at the charge air cooler manifold and all four hose clamps. 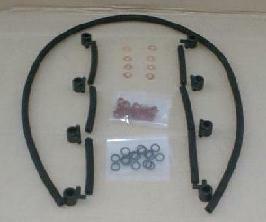 The original clamps used we not spring loaded and would loosen from expansion and contraction of the hoses. When the clamps loosen on the upper hose, oil seeps through and results in the hose blowing off the CAC manifold. You can order the clamps alone to reduce the chance of oil seeping past the hose, or the kit if the hose blows off or leak repeatedly. 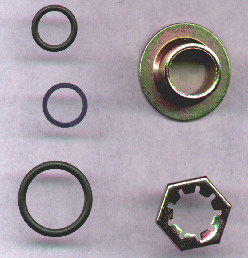 Injector and glow plug connector that plugs into the outside of the valve cover gasket to repair melted connectors. Amsoil ordering information can be found on the Amsoil Products page.